Just got back from a lovely afternoon by the Hotel Victor pool, chilling on a squishy chair, drinking Ciroc Vodka cocktails with Hayley, listening to the Felix da Housecat & Junior Sanchez absolutely killling it, and Mr P Diddy lording it over the whole affair. I knew it was going to be a great day! Been out for a 4 mile run along the boardwalk past all the other pool parties too, catching bits of Pete Tong, and Annie Mac's shows, off for sushi in a sec then the big party at Cameo tonight. Funny moment yesterday going into the IDMAs - shambolic squash to get in - even for nominees... Was chatting to some guys I knew from LA, with a few ppl I didn't recognise in the group. 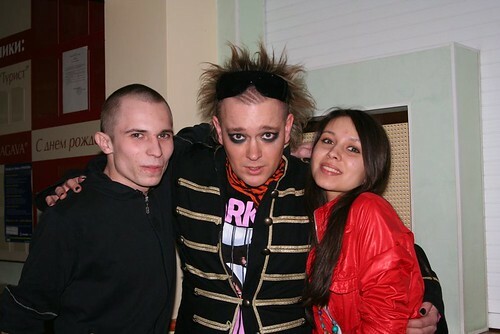 One of which I later found out was Deadmau5 - who I obviously didn't recognise without the big mouse-head hat thing. Politely asked him how he was doing, and if he was up for any awards, and if he thought he was in with a chance.... hahaha. DOH! He wiggled through a bit ahead of me and actually shouted "DONT YOU KNOW WHO I AM" to the security guys, and it worked haha! IDMAs at the beginnning was a hilarious shambles, but fun to be there - will have to give you a full rundown when I have a spare minute after WMC - but all sorts of mess ups running the Video clips, showing the winning video before the nominees mentioned, and just general hecticness. Highlight I think was seeing the whip play live, and I loved the crazy spanish lady co-hosting it. Off to a pool party this afternoon then to rokbar to see jnr sanchez etc, then cameo for the felix da housecat/pdiddy party. SHould be a great day! Having a great time so far. Gotta get ready to do to the IDMAs in a sec, then world of drum & bass, then technosluts, then the international gigolo party all nighter. If I survive the night I'll fill you in on the carnage tomorrow! Monday night was chill, just had drinks at the lovely Delano hotel bar with Bailey & his girlfriend Hannah, Ceuzen from itunes and her friend Maya, my mate Casey and a few other people in and out. So I'm trucking on over here, I leave for America on Thursday, a few gigs over there before I hit Miami for the WMC - been sifting through a gazillion demos and promos over here, and currently about 1/4 way through a huge session on beatport looking for some nice 4/4 stuff to update my ipod and prepare for any mysterious secret non-dnb sets I might end up doing. 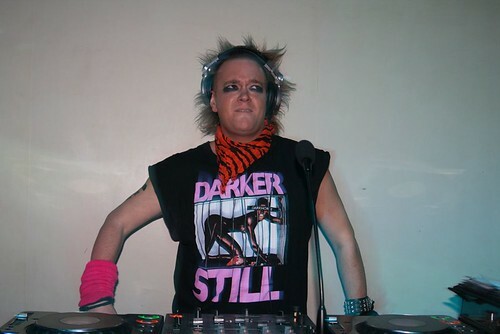 Had a good weekend, 2 UK gigs for a change - alas Brighton on Friday was really quiet, the promoters had too much competition from the Bloc Weekender festival, and a big free party at the Concord 2 just down the road, but I took them down the pub afterwards (and saw some crazy shinanikins and bouncer bust ups in there into the bargain...). Leicester on Saturday was much better, a big Formation records party at the University Students' Union, I was on inbetween Original Sin, and Grooverider, who were both playing pretty serious jump-up bizniz, but the crowd were really cool and open-minded and responded well to my stuff - I stuck to my usual and hit them with all the new stuff, a lot of progressive and minimal inspired DnB and they seemed to love it. So yeah - big up the student masssive! Hehe! 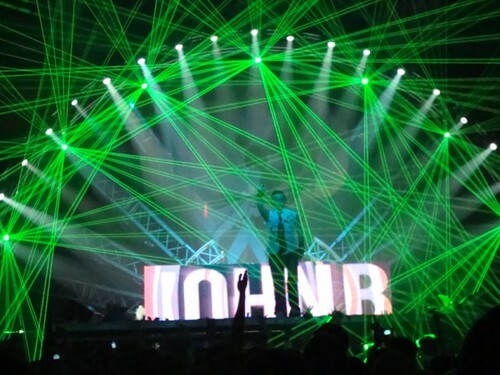 720p HD Tour video of John B's biggest gig ever to 25,000+ ravers at the SKK arena in St. Petersburg for the Pirate Station 'Immortal' Event. 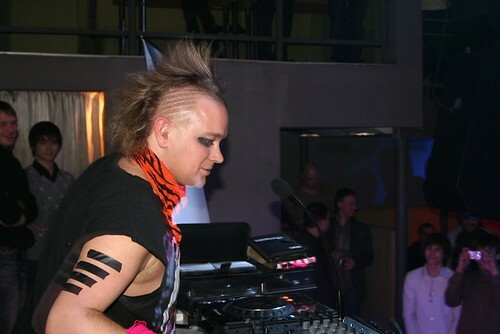 Live recording from John B's performance at this year's Pirate Station Event in Moscow. 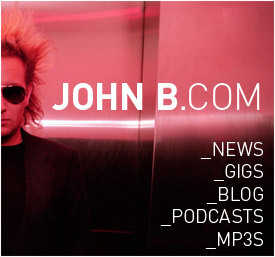 All the photos and John B's official blog can be seen if you click here. They are also available on John B's myspace page, and facebook page. 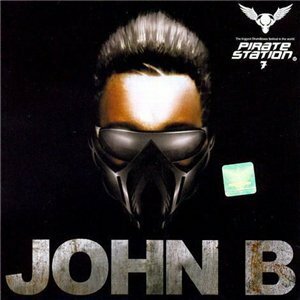 We have a very limited quantity of these CDs - a promotional special CD John B compiled and mixed for the Radio Record Pirate Station Immortal Party in St. Petersburg in January 2009. 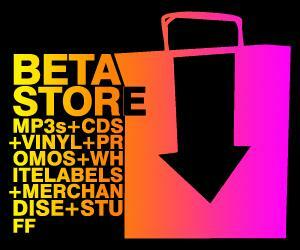 Click here to buy the CD at the Beta Recordings Webstore. (Shipping Worldwide). 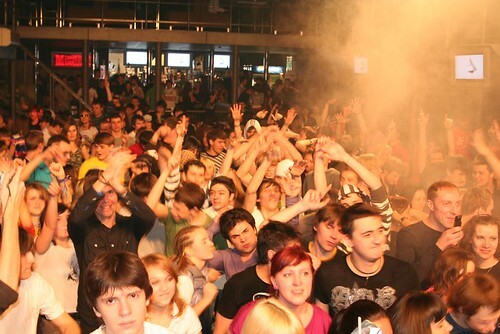 Last Saturday I played in Moscow, for the Pirate Station guys again, HUGE party in a big Expo Hall in the middle of Moscow. Someone told me it was the biggest Expo complex in Europe. I believe them! 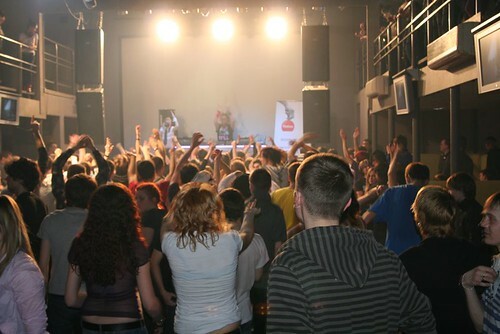 Hungary was the day before, and I went straight form the gig to the airport in Budapest, didn't get to sleep till about 3pm when I made it to the hotel in Moscow. Woke up to the surreal rumble of the sound system warming up (hotel was in the same complex) and the first of many super-theatrical intros they do, really got me tingling! I'd watched Hellboy 2 earlier in the week, with the 'Golden Army' and man, it sounded like there were a gazillion golden army robo-goblins waking up and crashing about. Too much for my jetlagged & frazzled brain! Heheh! 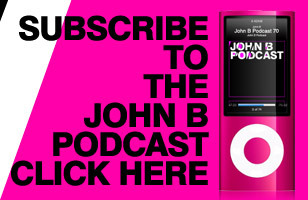 You'll already know this if you are a subscriber to my fabulous podcast (!) but they broadcast my set live, and I managed to get a recording and its now available FREE as a lovely podcast! CLICK HERE for more info.